Tetris Effect is Enhance Games’ recently released tile-matching puzzle game developed alongside Monstars and Resonair. The game is a tribute to the universal qualities that make us human, which can be used to forge connections if we’re able to move towards a greater good out of respect for one another. It’s able to convey this idea in a way that somehow never feels trite or corny because it’s a Tetris game first and foremost, the latest in a storied puzzle franchise created in 1984 by Alexey Pajitnov. Visual whirlings, particle effects, flying whales, and staccato controller vibrations that pulsate to the music all combine with the core of Tetris to effortlessly submerge the player in that unknowable-until-it’s-there thing called the sublime. I wouldn’t blame a person for wincing at all the PLUR-ness on display here, but there’s something about how it’s all wrapped around Tetris that just makes sense. Playing Tetris Effect with the sound muted should be a litigable offense. While the game doesn’t require the player to drop and lock tetrominoes in step with the beat, often it can be hard to resist, at least on simpler levels and easier settings where speed isn’t a concern. When the game’s Journey mode is played from start to finish, it’s like playing an entire concert’s worth of material, complete with peaks and valleys, études and crescendos, and an array of genres and subgenres of that broad domain of music we call ‘electronic’ (though there’s also an improv jazz stage which is a lot, in addition to a handful of pieces inspired by traditional instrumentations found in African and Asian cultures). The reactive, generative soundtrack of Tetris Effect is crafted, mixed, and mastered with a degree of acuity that balances memorable music with playfulness. Tracks like “So They Say,” “Connected (Yours Forever),” “Temptation,” and “Joy” are absolute earworms, building up to a drop like a sizable stack of tetromino pieces, then falling off into something exciting and earned, or slower and unexpected. In this interview, I had the honor to speak with Hydelic, the composer unit behind the game’s music, on their creative process, advice for aspiring composers, and more. For Tetris Effect, were you approached with a visual idea for a level that you then scored around, or did a musical idea come to you that would inform the visual components of the level? From the director, we receive concept art that visualizes the theme of each stage and an oral explanation of the theme. Based on these, we think about what kind of music to create. Because there is no “movement” at this stage, we create a rough demo that emphasizes the general mood, and this demo is first implemented into the game. From there, the designer may alter elements such as color to better align with the music, incorporating synesthesia-esque changes. At this point we start to get a better picture of details such as particle movements, so we’ll make adjustments, like spread a clap sound with some reverb for example, to improve the balance between visual and aural elements. When writing a track, did you come up with individual loops which would trigger when a certain goal was met, or did you approach each track like a normal composition with a beginning, middle, and end? At first, we create the song as a normal composition. We often make adjustments after this process. Were there any particular tempos and time signatures that you felt made for a more or less exciting gameplay experience, and if so, did this influence your approach to designing the game’s music? When creating excitement, we gravitate towards 4/4 for its appealing feel. The tempo is set at around 135 BPM. When creating something that’s calming, 6/4 feels pleasant. The tempo is around 100~120 BPM. These tempos and time signatures were new discoveries for me, too. Were there any ideas for a track that you had to scrap? Was scoring Tetris Effect a challenging experience, or did you find it simple and enjoyable? We got to work on what we’ve wanted to do, so in that sense it was both a challenge and a fun experience. How did you decide when it was appropriate to introduce changes in the pace of music that would speed up or slow down the play experience? Within a single stage, there are several timings where the visuals switch depending on the number of lines you cleared, and we change the music’s tempo in time with this. Do you have any particular tracks that you’re particularly proud of that made it into the game? “World of Colors” / the track for the Mermaid Cove stage: because it was the type of music we wanted to make most. “Connected (Yours Forever)” / the track for the Deep Sea stage: we’ve wanted to collaborate with Kate Brady for awhile, so we’re happy that we were able to make this a reality in this game. “Boscage” / the track for the Forest Dawn stage: blending background music and sound effects, we think we created a result that feels very good. How did scoring Tetris Effect differ from scoring “Area X” in Rez Infinite? 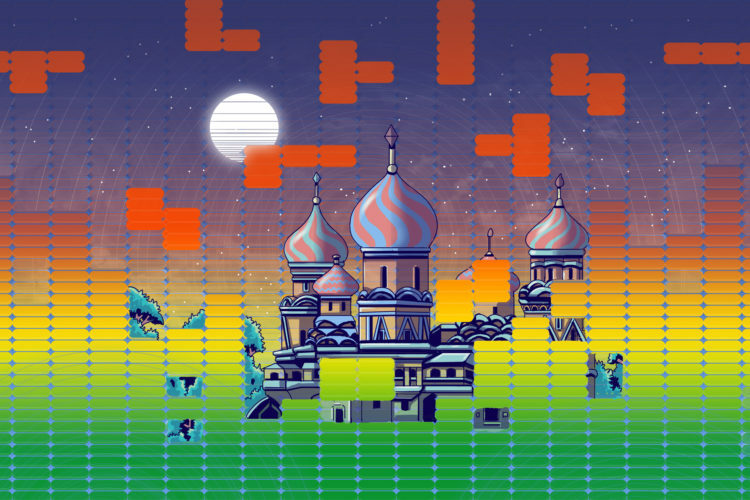 Tetris® Effect had a lot of stages and the visuals were diverse, so we crafted what kind of genre the music would be while looking at the overall balance. Rez Infinite’s “Area X” had a storyline that permeated the entire game, so we took the approach of tailoring the composition to the story. For example, because it begins with darkness, we started with a distant-sounding low sound, and we would gradually amp up the music from the start of the next area. Is there anything you would do differently if you could start over on Tetris Effect? We’d like to try creating music that’s constructed differently each time you play the game. Any advice for aspiring composers and sound designers? Please have a blast doing what you enjoy. Do you plan to continue working with Enhance on future projects? Yes, we’d like to continue collaborating with them. Tetris Effect feels in a way like both a culmination of ideas put forth by designer Tetsuya Mizuguchi’s past works and a look at what’s to come for games like it. It’s not an experiment but rather a fully-formed thought, an apotheosis of sound and vision. Finishing its final stage on the hardest difficulty was a grueling musical journey which left me transcended. “Show me what you were made of, ‘cause I’m always with you. Come on, we could leave today,” sings vocalist Kate Brady on “Always Been But Never Dreamed.” Somehow, somewhere, I had. Devin Raposo Devin Raposo is a critic, interactive fiction writer, programmer, musician, and student.